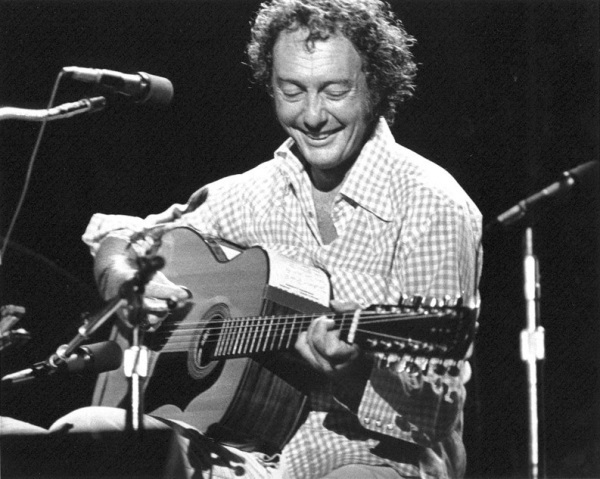 Fred Neil’s cavernous baritone and wayward backing group were recorded directly to stereo for his ’66 self-titled solo album. Conservatively dressed, his curly head nodded over the microphone inside a Capitol studio webbed with shadows. “Everybody’s Talkin’” was finished in one take. Three years later Harry Nilsson covered it for the award-winning film Midnight Cowboy. The song burned the charts and Fred cashed it all in. Until dying of skin cancer in 2001 Fred lived in and out Coconut Grove, Florida, the bohemian artist colony on the outskirts of Miami that attracted musicians like David Crosby, Tim Hardin and Joni Mitchell. He resigned to a little house without a phone, strummed his guitar in front of the TV, drank St. Pauli Girl, bought a house in Woodstock, New York, had kids, got divorced, smoked dope and sang to Kathy and Suzy, dolphins from the Flipper TV series at the Miami Seaquarium. “He was a Florida guy, raised in St. Pete. He loved the ocean, we swam we dove,” recalls Vince. “The water and the ocean were very germane to our lives at that time -– Florida, the bay, and you generally write about what you know or feel.” Vince discovered the Grove while chasing after a stewardess in ’61 and Fred followed, forging the serene, 85-degree folk haven as his escape from the city. He was born in 1936 and raised on Treasure Island outside St. Petersburg by his grandmother who hailed from Alabama. His father sold Wurlitzer jukeboxes for a living throughout the south and brought Fred along. It’s fair to speculate he had his first dose of music out those pink and yellow sets. Until his arrival to New York there’s not much known of what he did or where he lived aside from joining the Navy at around 17 and adopting his grandmother’s last name. He only gave one interview throughout his entire life to Hit Parader Magazine in ’66. He struck the Brill Building as a Southern Music staff writer. He and Jimmy Krondes paired up, writer of Earl Grant’s “The End.” Earning $40 a week and living off session guitar sets for artists Bobby Darin and Paul Anka, he slept on benches in Central Park before stumbling on a warmer Village. Len Chandler pushed him to the stage at Café Wha? and in ’60 he and songwriter Beverly Ross connected. She wrote the bubbly “Lollipop Lollipop.” The two worked over “Candy Man,” Southern slang for a pimp. Publisher Aaron Schroeder, overseer of such songwriters as Al Kooper and Randy Newman, peddled Fred’s demo to Roy Orbison’s producer and “Candy Man” was recorded as the B-side to “Crying.” At some point he married a Brill Building publisher (coincidentally Jimmy Buffet, a visitor of the Grove, first married a song publisher). He became master of ceremonies at the Wha?. The reserved man on the scene introduced Karen Dalton, Bill Cosby, and Chet Powers till four in the morning. He played whenever he wanted for as long as he wanted, in particular when all the sailors, tourists, or Beats sporadically crowded beneath the low ceiling. It wouldn’t be long until Dylan arrived to eat hamburgers. The two divided up fees and Dylan got his start. (Interestingly enough, Dylan’s “Lay, Lady, Lay” would be designed for the Midnight Cowboy soundtrack.) Fred then accompanied folk musician Bob Gibson in Chicago and LA before returning to a flourishing Village fan base. In ’64 he and Vince quilted Tear Down the Walls. Produced by Paul Rothchild and milked with harp player John Sebastian (The Lovin’ Spoonful) and fretless bassist Felix Pappalardi (the “fourth” man of Cream), the album boils stark tones of blues-folk between tenor and basso. They were to host a live follow-up album at The Bitter End with The Bitter End Singers. Fred walked and Vince’s career dwindled.